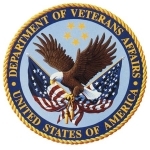 The winners of the VA Patient Record competition have been announced and are now being showcased. For those familiar with the Veterans Affairs Healthcare System, the Blue Button is a common facet of access to medical data. However, while the system is great, visually it is a let down. Recognizing this area of potential improvement, the VA is sponsoring a competition to find those that may help it design a more visually appealing design for future use.